My husband and I love birds. 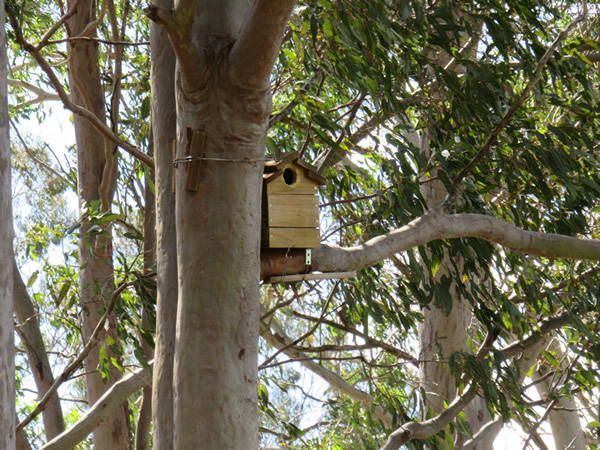 We made four nest boxes last year and put them up in the trees in the yard. 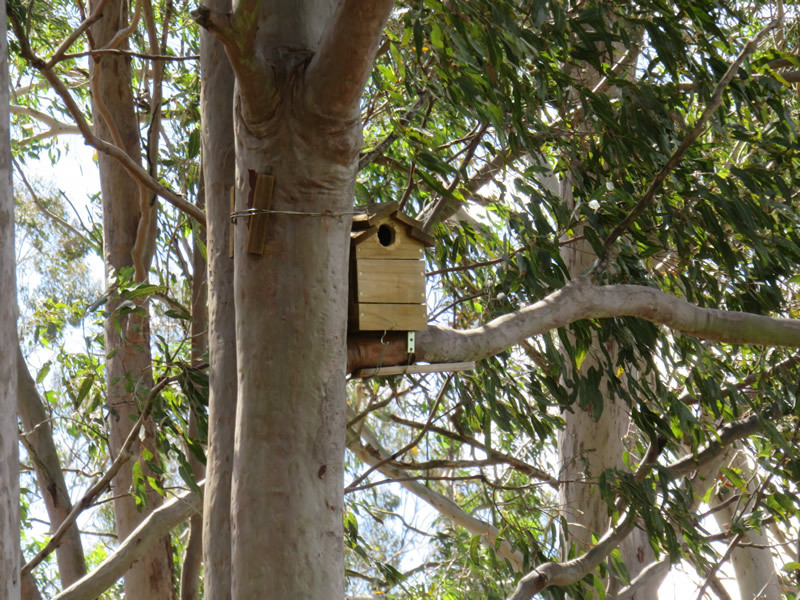 We didn't expect the birds to use those nest boxes last year but it may be they will use the boxes this year. I have seen a pair of Pale-headed rosella come and peek into the nest box several times. I wanted to tell them how good those boxes are. The box has a one bedroom with a stylish circle shaped entrance. The nest box is a simple design and it's in harmony with nature. The walls are made of natural timber with no artificial chemicals and there are some tiny holes to get fresh air. 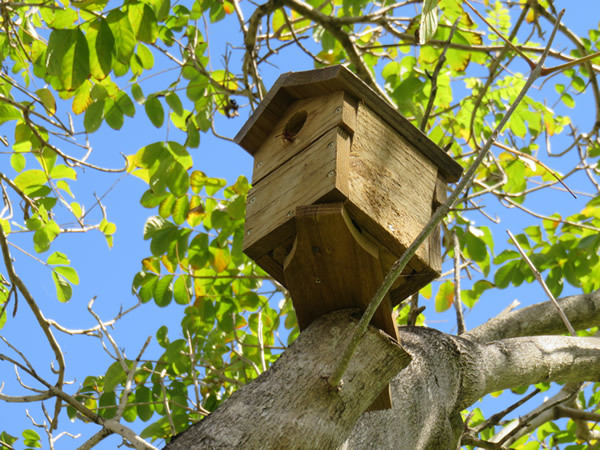 The location of this nest box is high enough to prevent an attack from predators. 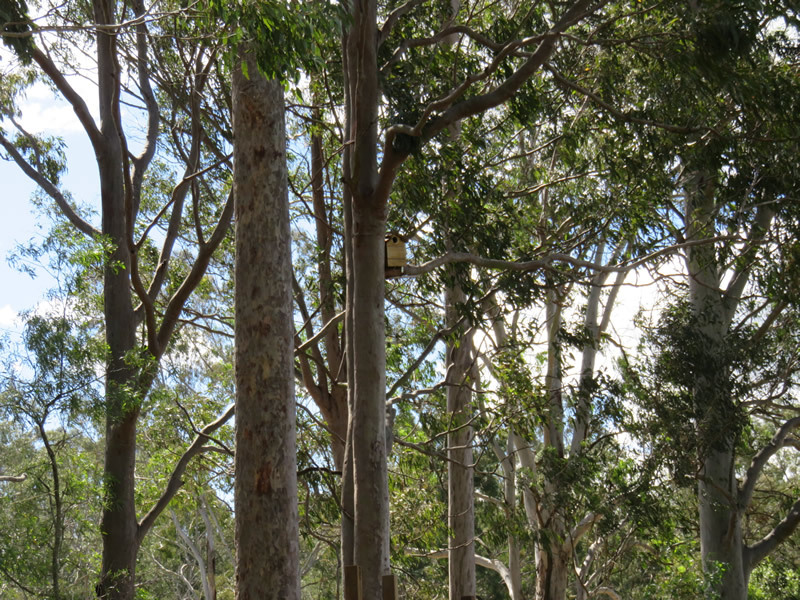 There are nice branches around the nest box and they are very convenient to take a rest. When your kids leave the nest, these branches would be a nice place to practice flying. 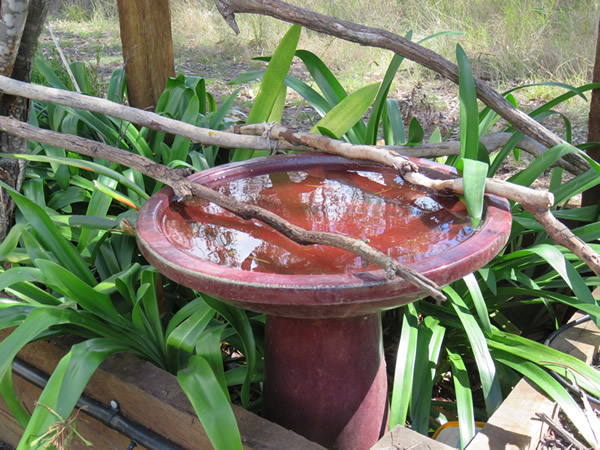 The water bowl which is always full of clean water is under the tree. You can enjoy taking a bath anytime you want. You don't need any rent fee or deposit. It's completely free.